Pixel art of the 8-bit flashback NES variety is all the rage right now, be it in games like The Incident and Sword & Sworcery or just for avatars on the web. If you’re wondering how some of that beautiful pixel art is created and how you to do it yourself, here are some tips for near-instant pixel art. 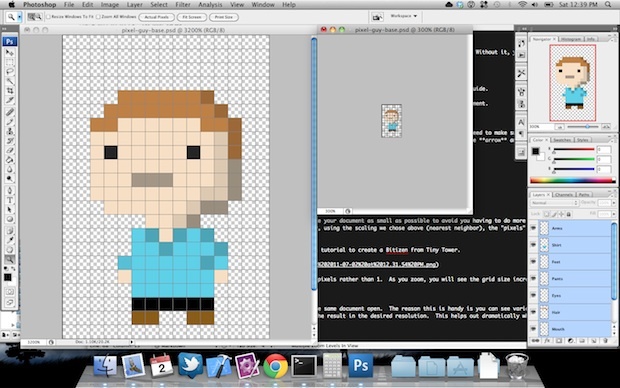 We’ll use OS X’s zoom feature, Pixelfari, and also configure Photoshop to make your own retro pixel art and clean up the results of other methods. It’s also important to take a full screen screenshot so the image is captured in full pixelated glory. These Photoshop techniques come from Brandon Trebitowski, an iOS developer, and if you are at all interested in designing pixel art his blogpost on the matter is highly recommended reading, you can read it here on BrandonTreb.com. Another trick to speed up your creation of pixel art, and even make near-instant pixel art, is by using the 8-bit web browser Pixelfari . Pixelfari comes from developer Nevan Morgan and you can download it instantly here. Essentially all you need to do is drag any image into Pixelfari and it will automatically render the image as pixel art, then take a screenshot of the Pixelfari window. It’s not perfect but it creates a a good starting point that can then be refined using the above techniques mentioned by Brandon. Here’s the OSXDaily logo thrown into Pixelfari with no other editing, this is a pretty good example of how this works. Again if you want to clean up the output you can use the Photoshop tips mentioned above, or you can even use OS X’s zoom feature to hyper-pixelate the results in Pixelfari. There’s obviously more ways to do this, but for quick pixelation the Zoom and Pixelfari techniques are great, and the Photoshop configuration is perfect for drawing from scratch or cleaning up your pre-pixelated images. You could also try using Paintbrush, the MSPaint clone but it’s harder to get price with that app. Finally, a nice general reference is Natomic, which has some general tips on shading, lighting, using lines, and more, its old info but pixels have been around a long time, so the techniques are still very relevant. I always wondered if these guys used some pixel editor or photoshop. Thanks for the tips and visuals. We’re learning about this in class next week at Santa Fe University and I’m pretty excited to dive into the details. The zooming technique didn’t work for me. I zoomed into the apple symbol in the top left of my mac and hit command+shift+3 and it just took a picture of my entire screen, not the zoomed in portion. What am I doing wrong? I have found a solution to my problem! If you press Command+Shift+4 it will bring of a cross-hair and with that you can make a box around what you want pixelated. 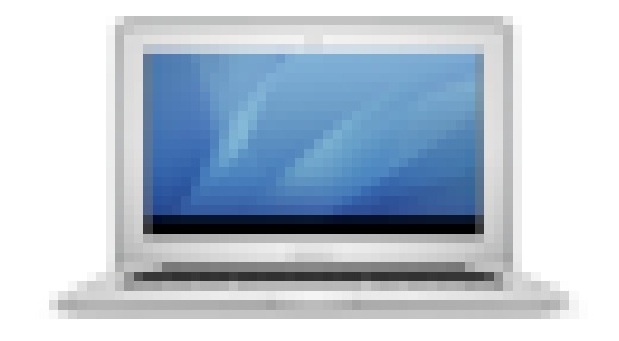 Mac will save the zoomed in parameters in a very pixelated and awesome screen-shot!